Good graphic design is a key factor in any brand’s success. Sure, you can’t hide behind a nice logo if you’re not offering a quality service. But looking the part from the outset is so important. Working with the Linnaeus Group on a long-term PR campaign has brought our excellence in design to the fore. It’s something we’re very proud of here at Newsline. 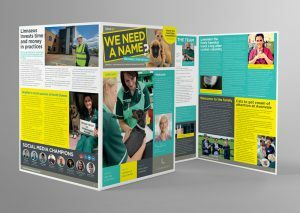 Our work has been wide-ranging, from redesigning practice logos to creating printed newsletters, social media graphics, pull-up banners and posters. 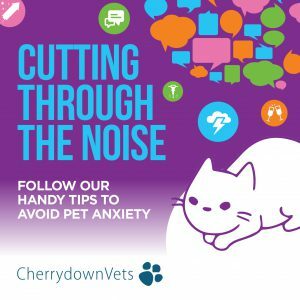 Our Pet Anxiety campaign was rolled out across the group, with graphic designs used on social media, leaflets, pull-up banners and websites. 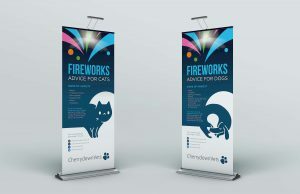 The campaign was to support the group’s general practice vets in providing help and advice to its clients around Bonfire Night, a time of year where fireworks can cause anxiety for cats and dogs. 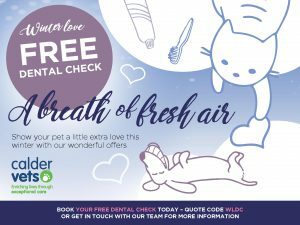 Our Winter Love campaign focused on promoting the first-class dental care available at the group’s practices, along with a range of special offers. 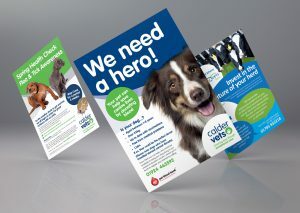 Other commissions have included posters appealing for blood donors, internal newsletters and external newsletters, which are posted to clients and displayed in the practices. Like what you see? Get in touch for a highly-competitive graphic design quote. We know you won’t be disappointed with the results.